Lisbon, as we’ve written numerous times before, is visibly changing every day. Consequently, there aren’t many restaurants in town that have survived in the same venue, with the same name, continually serving proper meals for the last 100 years. 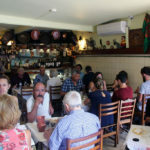 If memory (and Google) serve us well just nine of those century-old venues remain open: Café Nicola, Cervejaria Trindade, Estrela da Sé, Faz Frio, João do Grão, Leão d’Ouro, Martinho da Arcada, O Polícia and Tavares. 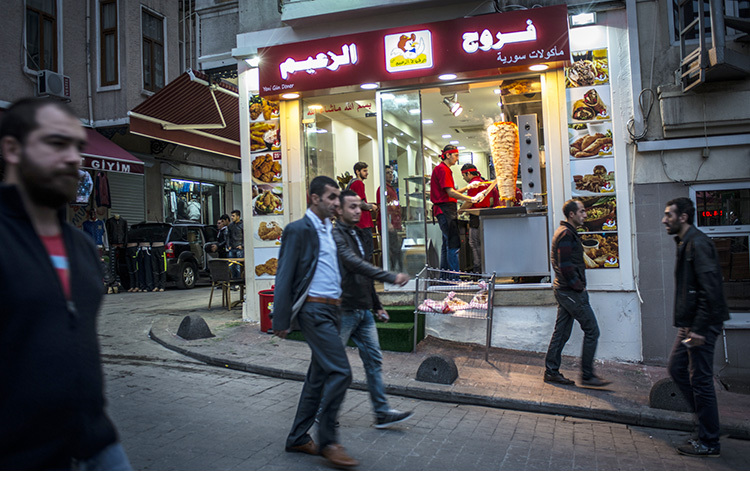 This, of course, in a city that according to INE, the Instituto Nacional de Estatística (the National Statistics Institute), has more than 20,000 business premises registered as restaurants or something similar. And those nine could’ve easily been only eight by now. 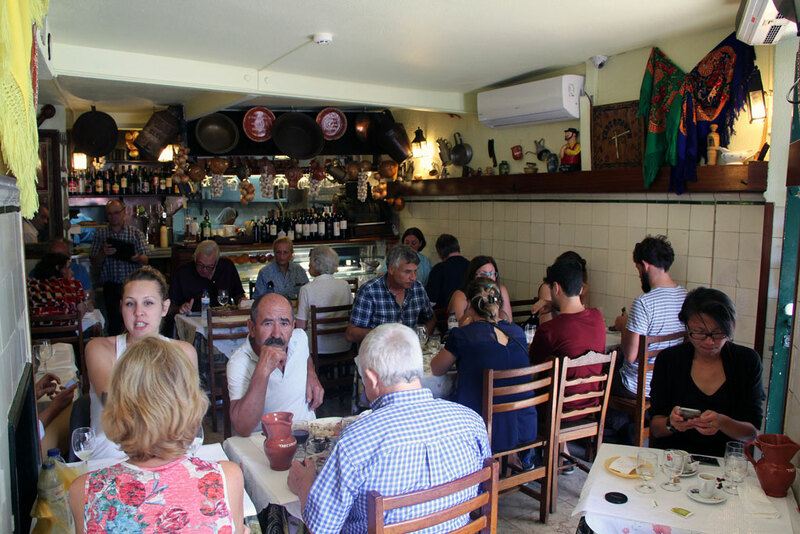 Faz Frio, in Príncipe Real, reopened a couple of months ago after almost a year of intense restoration works. It would’ve been much cheaper just to tear the whole thing down and start from scratch. But Jorge Marques, its new owner, didn’t opt for the easy route. “I wanted to respect what was already here, the restaurant’s legacy,” he says. That certainly cost him: for instance, he had to order new custom-made tiles to match the exact same pattern of the original ones, most of which were damaged beyond repair. The two private dining rooms – a rarity in Lisbon – were repainted, refurbished and made brighter, thanks to new lighting, as was the main room, which now has a marble counter with five seats. 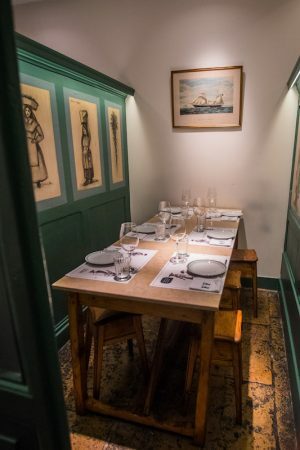 The famous statue of a sailor, by Portuguese poet and artist Mario Cesariny, was also cleaned and put back in its place at the entrance of the restaurant, left-hand in pocket, welcoming every client and honoring a former cook who was also a navy officer. All in all it’s as if the restaurant went for a very long – and effective – beauty sleep, only to wake up several decades younger. Despite this, don’t mistake Jorge for an old conservative chap with a knack for nostalgia and historic venues. On the contrary: he is just 26 and very easygoing. But he knows what he’s doing. After studying Hotel Management at Les Roches Marbella, one of the best hospitality schools in Europe, he spent several months learning on the job at Dinner by Heston Blumenthal in London, and then worked on the management team and front of the house at three different restaurants in Miami Beach before crashing his motorcycle. Had this unfortunate event not taken place, we probably wouldn’t be writing this story. “They had just given me a contract proposal for three years and I was thinking about accepting it,” he recalls. But the accident required him to have knee surgery, and because health insurance in the U.S. is tricky business (to say the least), he flew back to Portugal, got it fixed and didn’t go back. After some more work in Portugal and Norway (at the three-star Michelin restaurant Maaemo), he jumped at the opportunity to run his own place. 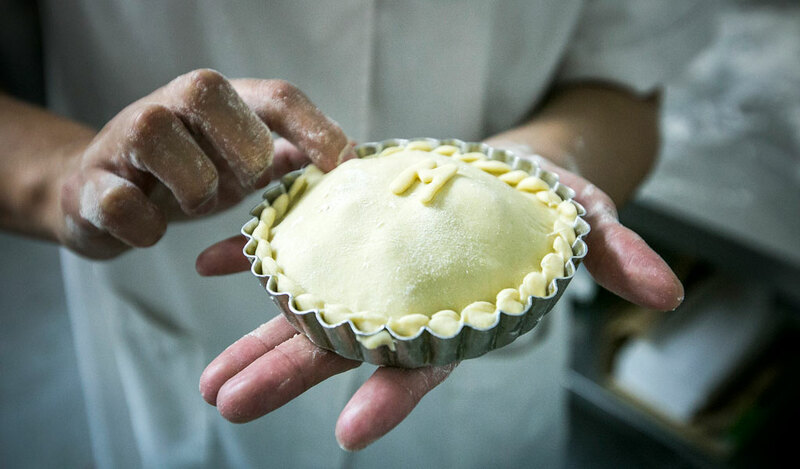 “I’ve always relished the idea of running a traditional restaurant that serves Portuguese food,” he assures us. How did it happen? Well, he had a head start: his family already owned the building where Faz Frio is located, except for the restaurant itself. The establishment’s previous owner had died a few years ago but his descendants kept it going for a while, despite not really being interested in the food business. 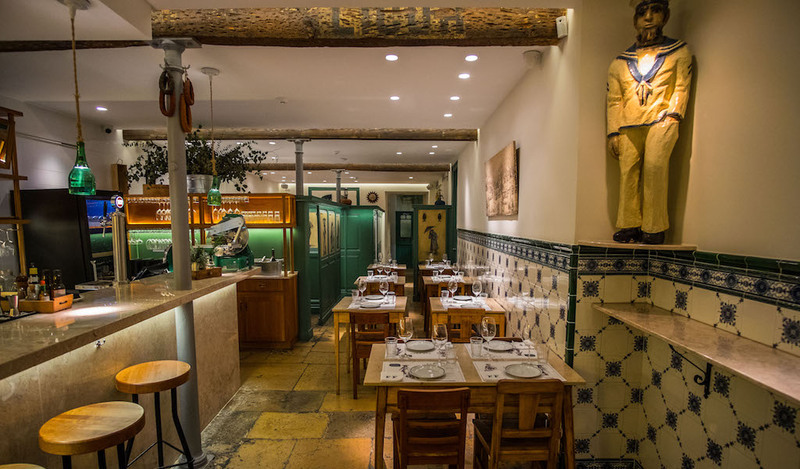 As a result, the quality of food at this simple Portuguese restaurant, which used to be known for its daily dishes of codfish and its paella, dropped off, and the interior, which had always been a bit dark, felt even more somber, as if it had been frozen in time. When the family finally decided to sell, Jorge – and his father – decided to buy. But they’ve only changed what needed to be changed. The menu still presents a different daily dish of bacalhau (codfish), like they did before. Gone is probably the best of the bunch: the terrific bacalhau à brás that was served every Friday. 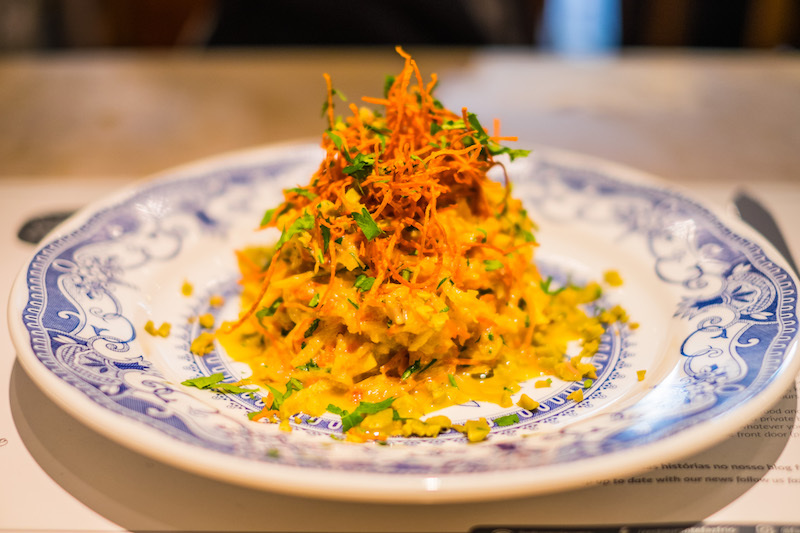 But chef Mateus Freire, also young and well trained, has introduced a convincing replacement, bacalhau à assis. It is a lesser-known codfish recipe from his hometown of Covilhã that is actually very similar to the à brás: the cod is also shredded and mixed with thinly chopped fried potatoes, onions and eggs but it comes with extra ingredients, such as grated carrot and cured ham. 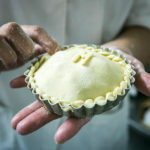 Codfish isn’t the only option around here, though: there is a daily meat dish as well and several other dishes on the fixed menu, like ensopado de borrego (lamb stew) or the traditional bitoque, a typical tasca steak – cut from the top loin in this case – served with a fried egg on the top. 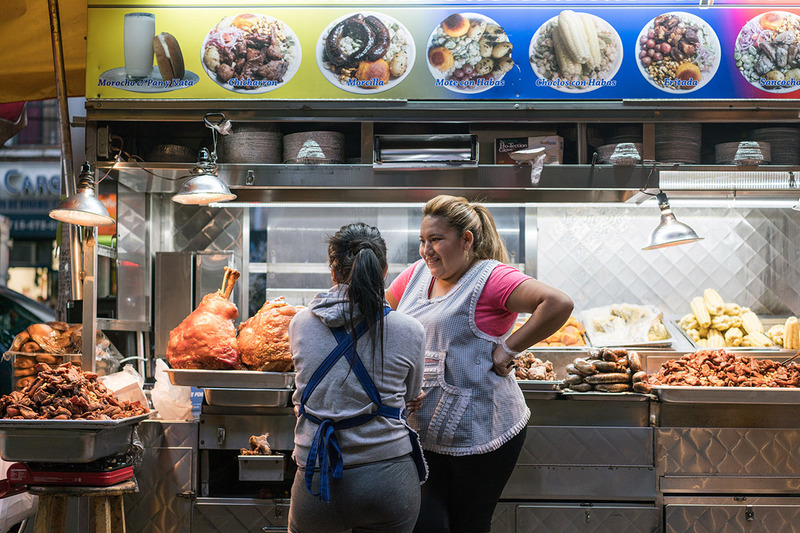 Soon they will also be serving cabrito assado (roasted kid), another Portuguese classic, on Saturdays. 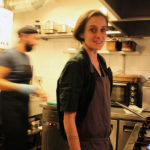 The bar – and its new marble counter – has its own menu, with some lighter bites like peixinhos da horta (tempura green beans) as well as sausage and cheese platters, among others. They’re ideal for late lunches, early dinners or afternoon snacks, as they’re served all afternoon long, between main meals. This might be considered a nod to tourists, as Príncipe Real is one of the trendiest and most visited neighborhoods in Lisbon. But Jorge Marques isn’t focusing on foreign visitors. “We’re not making this a touristic restaurant: our clientele was mainly Portuguese and we want to keep it that way,” he tells us. 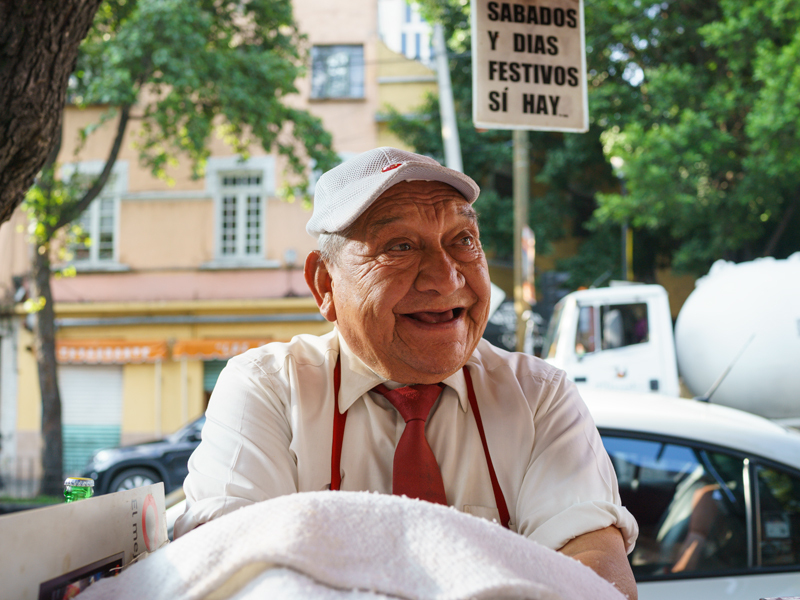 He is right about the clientele: despite being on the decline for the last few years, Faz Frio, an archaic way of saying “it’s cold,” had some very faithful clients. Many have visited already and, according to Jorge, almost all are happy with the work done. “Except for one, who wrote that what we did was awful and that he wouldn’t ever come back. I guess you can’t please every one,” he says, shrugging. However, Jorge inherited not only the clientele but also an important sign on the door signaling membership of the Lisbon Historical Shops, a program ran by the municipality to protect establishments that have cultural or historical value to the city. Ironically, it probably honors it now more than ever. 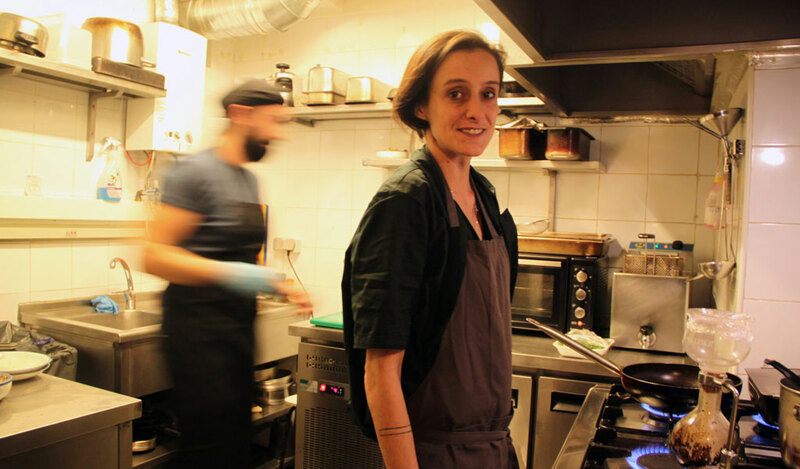 Visit neighborhood institution tasca on our Lisbon Awakens walk!